Before marriage and children, one thing I fantasized about was parenting my own children to bed one day. I imagined cuddling with my darlings to say our bedtime prayers, sing calming lullabies and share bedtime stories before I got up, tucked each child into bed, offered each a kiss on the forehead and quietly left the room as the children drifted into sweet slumber. So it is that through the years, bedtime in my home has been anything but dreamy. And what about hat tucking in I imagined? Hmm… Reality looks different than my dreams. For, I envisioned the typical tuck in, blankets tight around smiling children. It was not until I had a “sensory kid” that I learned for some children the preferred weight upon a body is not that of lightly tucked blanket, or even a number of heavy ones, but that of a parent! Yes, for years even if left in his own bed sleeping, one child would eventually get up, come find a parent and “tuck” himself into that parent by squirming his legs under said parent. His siblings wanted Mom or Dad, too. Can we say, “musical beds”? How about “bedtime mayhem”? 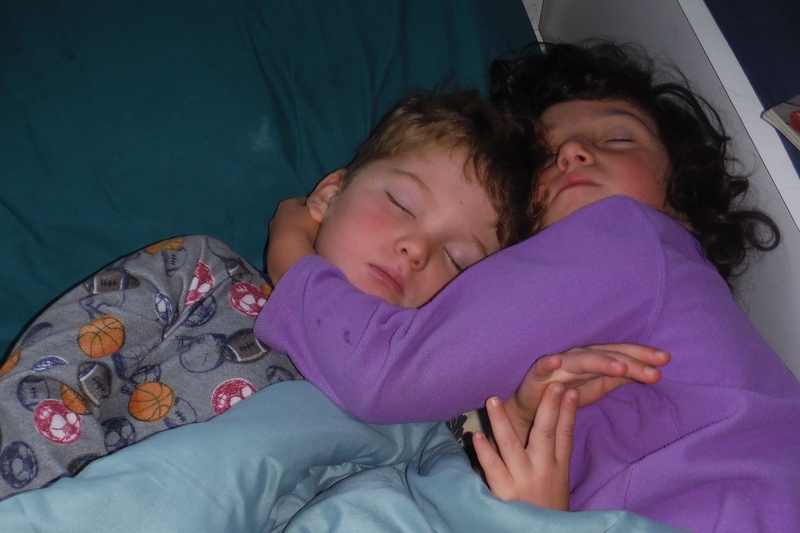 Kids outlasting Mom or Dad in staying awake? That has been our reality. Recently – through prayer, persistence (and adaptation of!) with our bedtime routines, the children’s growing maturity, coaching and sensory work, and, I do believe, the grace of God – bedtime has become a little more blissful. In fact, it has become something better than I ever imagined. More often than not, one or two of my kids crash while we pray a rosary with youtube after bedtime stories and the other goes to – and stays! – in bed, trusting I will be in with him at some point. He does not beg for me to stay with him until he falls asleep, nor does he cry or panic quite as often about his inability to fall asleep. He just rests as best as he can and, sometimes, actually drifts off before I go into him. 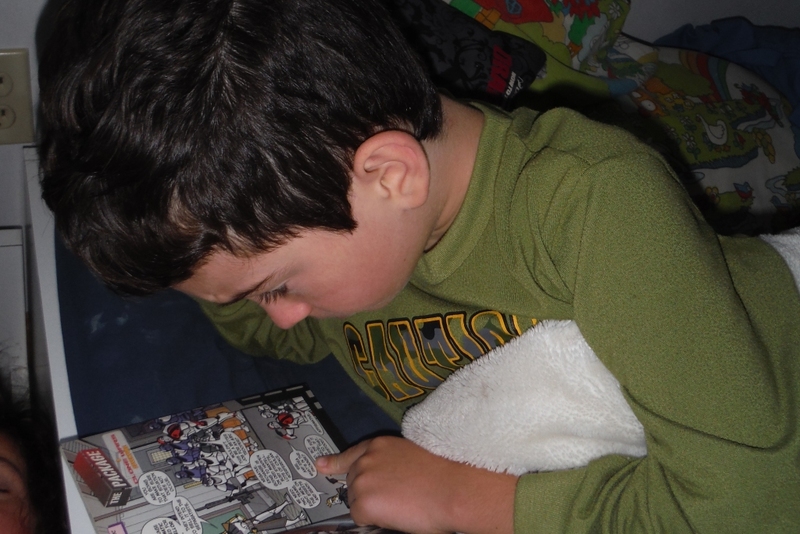 A well-rested boy reading quietly to himself as his siblings cuddle nearby still asleep. Morning bliss beget by better bedtimes. I will take it! Thank you! They don’t always do this, but when they do, I definitely am grateful!! !